Aeroflot’s passenger traffic grew 14.2% YOY to 2.275 million passengers in April 2016, the carrier reported. Russia’s largest airline demonstrated growth against the background of continuing stagnation of the Russian air travel market. Cumulative traffic of the country’s carriers for the same period declined 6.4%. Aeroflot’s results improved on international as well as on domestic routes. Domestic traffic increased 19% (1.14 million passengers) and international traffic grew 9.7% (1.136 million passengers), whereas cumulatively the industry showed a 6.8% growth and 24.2% decline in these segments, respectively. Aeroflot’s load factor increased 4.8 p.p. to 80.5% (up 8.2 p.p. to 84% on domestic lines and up 2.9 p.p. to 78.6% on international lines), exceeding the industry average growth rate, 3.2 p.p. 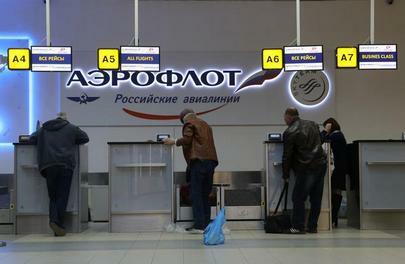 The carrier attributes its success to growing activity on the domestic travel market, added capacity, exit of many foreign airlines from the Russian market, concentration of transit traffic in Sheremetyevo and redivision of the market after the collapse of its former rival – Transaero airline. Operational results of the entire Aeroflot Group, which also includes Rossiya Airlines, Pobeda and Aurora, improved in April as well. The total traffic increased 8.8% to 3.183 million passengers, up 9.5% (1.872 million passengers) on domestic and 7.9% (1.311 million passengers) on international lines. Since the beginning of 2016, Aeroflot’s traffic grew 13.9% to 8.504 million passengers. The entire Aeroflot Group’s traffic increased 12.3% to 12.204 million passengers. Passenger load factor, % 80.5% 75.7% 4.8 p.p. 77.5% 75.4% 2.1 p.p. – international 78.6% 75.7% 2.9 p.p. 75.4% 75.1% 0.3 p.p. – domestic 84.0% 75.8% 8.2 p.p. 81.9% 76.0% 5.9 p.p. Revenue load factor, % 64.8% 60.9% 3.9 p.p. 61.7% 59.9% 1.8 p.p. – international 62.2% 59.8% 2.4 p.p. 58.8% 58.4% 0.4 p.p. – domestic 69.6% 62.8% 6.8 p.p. 67.5% 63.0% 4.5 p.p.